Our exclusive EcigExpress coupon code and discounts help you get the best price on EcigExpress e-cigarettes, vaporizers and vape accessories. Just enter the EcigExpress promo code at checkout when shopping from EcigExpress.com. All coupons are validated weekly. EcigExpress is a one-stop shop for all DIY vapers worth their salt. Whether you’re looking for flavor concentrates (FlavourArt, Signature, Capella, or any other brand), labware, bottles and mixing tools, or e-liquid VG or PG bases, this company has your back. Their amazing prices become even better with one of our EcigExpress promo codes. You’ve just run out of excuses – recreate your favorite vape juices or mix new ones at a deep discount today with EcigExpress! Founded in 2010 in Washington, EcigExpress is the product of hard work and dedication of one man – a former respiratory therapist who worked with patients with lung problems day in, day out. After seeing the devastating effect that smoking had on those patients, he decided to look into vaping and discovered that it had the potential of ridding the mankind of one its worst problems. The rest is history! EcigExpress is a one-stop shop for vape juice DIYers, beginners, and professionals alike. Their biggest selling points are their massive inventory, great prices, exceptional customer service, and fast shipping. If you’re just starting out with vape juice DIYing, EcigExpress website is full of valuable tips for beginners. You can also visit one of their stores in Bellingham, Lynnwood, Seattle, or Tacoma and get expert advice from the staff. EcigExpress sells a wide array of products needed for making your own vape juice – from equipment and flavor concentrates, all the way to bottles and starter kits. You can even use our EcigExpress coupon code to buy some of their premade, proprietary e-liquids, which are very popular with experienced vapers who know quality when they see it. EcigExpress stocks flavor concentrates from world’s largest and most renowned flavor manufacturers, which include: FlavourArt, Flavor West, Signature, Flavors Express, LorAnn Flavoring, Jungle Flavors, Lotus Flavors, and others. Flavors are available individually or in sampler packs. Sampler packs are brand-based and include the best and the most popular flavors a specific brand has to offer. If you want to avoid guesswork and recreate some of the most popular vape juices out there, make sure to check out EcigExpress Recipe Kits. They include flavorings required to create specific vape juices, along with detailed instructions on how to do it. 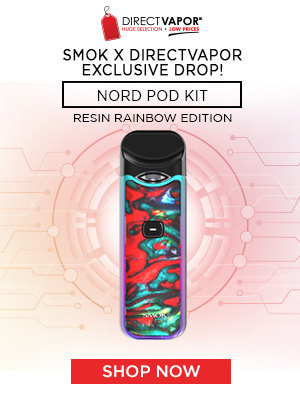 In addition to having over 4,000 products in stock, including 1,400 different flavorings, EcigExpress offers a streamlined and secure shopping experience. Orders are getting through the door as soon as they come in and their knowledgeable staff is always ready to help (customer care available via a toll-free number, online chat, help desk, or in person in four different locations). EcigExpress also rewards loyal customers – collect reward points when shopping with them and exchange them for discounts during checkout. DIY can be fun – especially if you know where you can get your equipment and flavorings at great prices. EcigExpress offers the best value for the money, often running discounted sales on items on their website. To save even more money, make sure to use our EcigExpress discount codes during checkout – mixing has never been cheaper than it is right now!